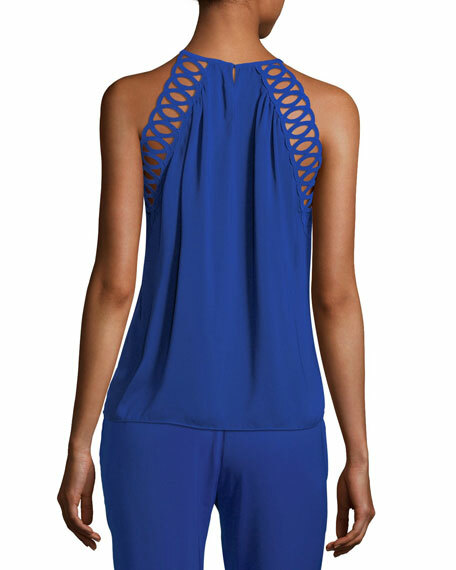 Ramy Brook "Kerri" top with laser cutouts. For in-store inquiries, use sku #2485291. 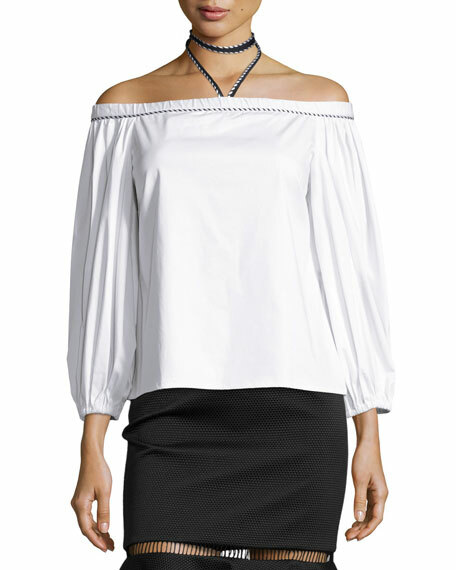 Alexis "Karen" top in shirting fabric with contrast stitching at neckline. Approx. 19"L from shoulder to hem. 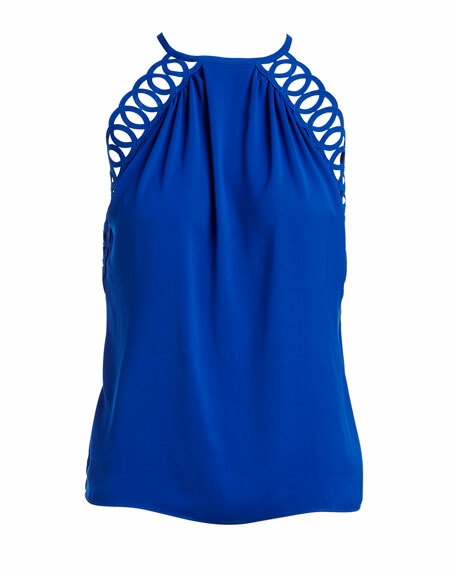 Elasticized off-the-shoulder neckline with contrast halter strap. Bracelet sleeves; elasticized cuffs. Relaxed silhouette. Pullover style. Cotton/spandex. Dry clean. Imported. Carmen Marc Valvo bandeau swim top in leopard-spotted animal print. 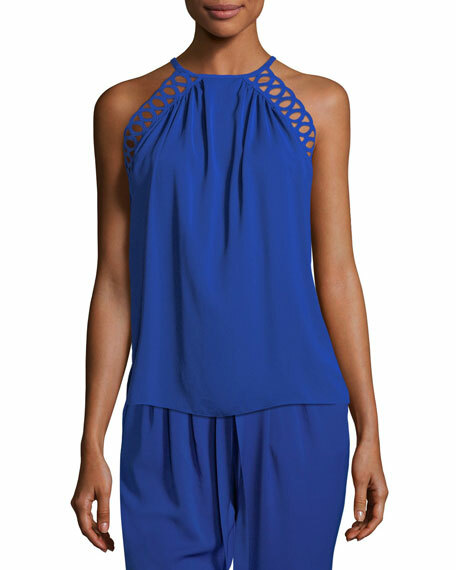 Cutout, beaded detail and shirring at center front. Strapless sweetheart neckline. Detachable halter strap. Adjustable self-tie back. Nylon/spandex. Imported.